Designed for safe evacuations in various contexts. Boasts our convenient Easy-Connect installation with large terminal block. Our flagship exit light. 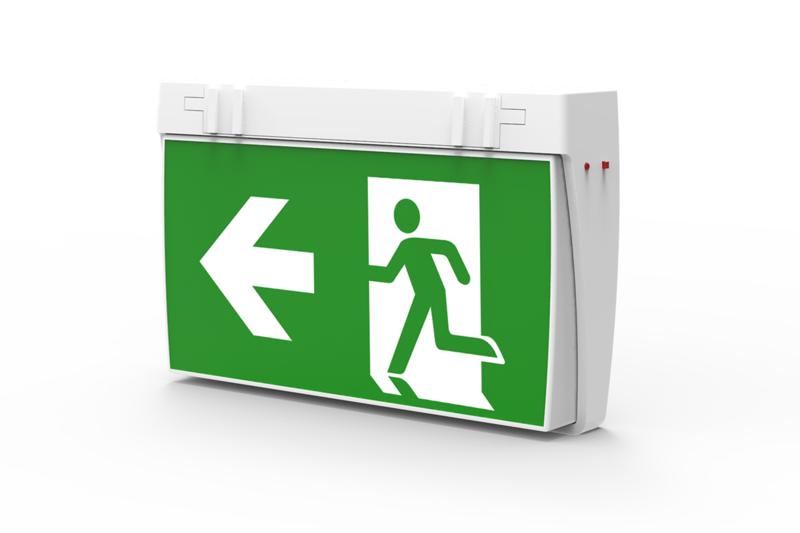 Housed in an ABS body, the EXLED all-in-one exit light is packed with all the right specifications. Long-life LED makes EXLED super reliable, energy efficient and clean for the environment. High-temperature NiCad batteries keep EXLED powered in any climate. EXLED can be mounted on wall, ceiling or suspended using a chain or rod, making it versatile and suitable for most business settings. And no need to worry about installation. The large terminal block offers the fastest and most user-friendly connection on the market.